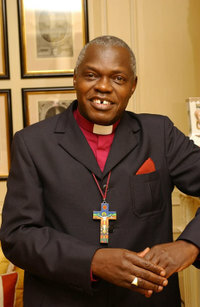 "John Sentamu, the Archbishop of York, calmly pointed out that the situation in Zimbabwe is a towering moral disgrace. And we need a campaign to topple President Mugabe every bit as urgent as past crusades to get rid of apartheid. He also reminded us that Kate and Gerry McCann weren’t just probably innocent. They are totally innocent. And they will be until the situation ever arises that they have been tried, and found guilty, in a forum better designed to arrive at the truth than the media. One thing is certain: they have lost a daughter and their daily suffering must be torture. Christianity teaches us to show compassion to individuals who find themselves in such a position. With his affirmation of the need for justice towards the poorest, and love for those who suffer, Sentamu may not speak as wittily as Dawkins. But I think I know whose moral force is more likely to mobilise action against dictatorship and win sympathy for a family enduring agonies that none should know."